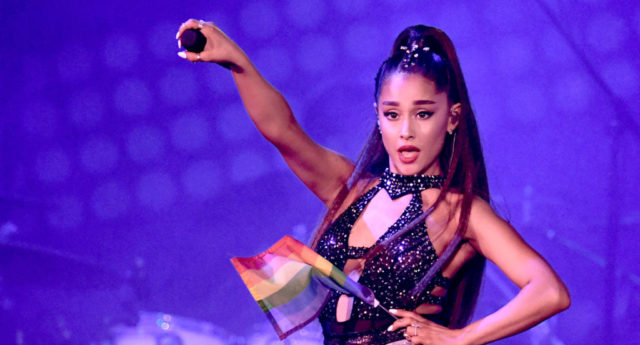 Ariana Grande has stunned fans with an incredible Coachella performance during which she was joined by NSYNC and Nicki Minaj. Both Grande and the members of NSYNC had hinted that they would be performing together in a series of cryptic tweets. She was later joined on stage by Nicki Minaj for a performance of “Bang Bang” and “Side to Side”—however, the pair appeared to experience technical issues with Minaj apparently losing her in-ear audio during the performance. The pop star’s Coachella set comes just two weeks after she released her new song “Monopoly” with Victoria Monét. Monét, who is openly bisexual, also raps the lyric. Fans began speculating online that Grande could be bisexual. However, she later clarified that she has not defined her sexuality before and said she still doesn’t feel the need to do so. Last summer, Ariana Grande revealed that she has post-traumatic stress disorder (PTSD) after the Manchester Arena bombing in May 2017. In an interview with British Vogue, she said: “It’s hard to talk about because so many people have suffered such severe, tremendous loss. But, yeah, it’s a real thing. “I know those families and my fans, and everyone there experienced a tremendous amount of it as well. Time is the biggest thing. I feel like I shouldn’t even be talking about my own experience – like I shouldn’t even say anything.